"Place To Start" is the first song on Mike Shinoda's debut studio album, Post Traumatic. 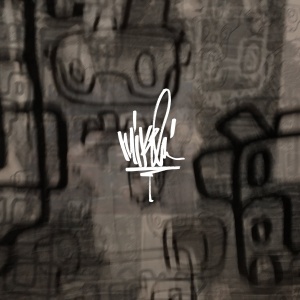 "Place To Start" is the only song on the Post Traumatic EP not to be performed entirely by Mike Shinoda as Rob Bourdon provided percussion on the song. He said, "I made the music / track of “Place To Start” while we were working on the OML album. Rob did brushes and crashes on it back then." On an interview to Kerrang!, he further elaborated saying, "That track actually started during the [2017 album] One More Light sessions. I had brought it in as a demo and never developed it all the way to the finish. There was a time when I thought that should be the intro to the One More Light album, actually. When I listened back to it, the idea of starting the EP before Chester passed away was something I thought was nice. There was an element of that that felt... older. The lyrics are all new... Well, I shouldn't say 'all new', but they are through the lens of where I was at that particular moment. I wanted to get people, in a sense, caught up with the answer to the question that everyone asks: 'How are you doing?'" The track also features voicemails from Mark Fiore, Ted Stryker, Phoenix and others who were all checking on Mike following Chester Bennington's death. The music videos on the Post Traumatic EP are described as "cinéma vérité", shot in a way that doesn't obscure the fact that they're real life. Mike says he wanted to shoot a video while feeling something. He explained, "Grief is so personal, and I thought that a D.I.Y., autobiographical format made the most sense. So I shot & edited everything in the videos myself. I‘m planning to continue doing it this way until it doesn’t feel right anymore, or until the work becomes too much." Released for free download on Mike Shinoda's official website on February 15, 2018 in WAV format. "Place To Start" got its live debut at Mike's Identity LA performance, being played after "Welcome". The song was performed without the voicemails that end the studio version of the song. This page was last edited on 17 July 2018, at 22:12.